Formulated with special skin conditioners, the new Black & White Silky Smooth deodorant sets a new standard in caring for women's underarm skin, especially after hair removal. The caring ingredients make skin soft and smooth. The new NIVEA Black & White Silky Smooth is a conditioning deodorant that you can apply directly after shaving for silky smooth underarms. But the care doesn't stop there! It also cares for your clothes by leaving no white marks on black or yellow stains on white. Why is underarm skin so sensitive? What are the signs of irritated underarm skin? Underarms are very sensitive body zone. Because the skin of the armpit is folded over on itself and has a high number of sweat glands, it is unique compared to other areas of the body. It is subjected to friction from clothes, but also exposed to strain due to hair removal. About 97% of women remove their underarm hairs. Whatever the method use, shaving being the most common one, superficial layers of the skin are removed and damage is sometimes caused to the skin. Most women show signs of skin irritation including redness, burning sensation, itchiness as well as a feeling of dryness. What is special about the formula used in NIVEA Black & White Invisible Silky Smooth Deodorant? How does it make skin smoother? NIVEA Black & White Invisible Smooth Deodorant contains skin conditioners. These special caring ingredients help skin be soft and smooth. These special caring ingredients help skin be soft and smooth. Our consumer testing shows that women really see and feel the difference. The underarm skin is cared for, looking and feeling more beautiful. Can I use NIVEA Black & White Invisible Silky Smooth Deodorant directly after shaving? Yes, NIVEA Black & White Invisible Silky Smooth Deodorant is pleasant to use on freshly shaved skin. The first reason for this is because it does not contain ethyl alcohol, which can cause signs of irritation such as a burning sensation. Second, NIVEA Black & White Invisible Silky Smooth Deodorant smooths the skin and provides a comfortable skin feeling after shaving. The skin conditioners it contains work on getting underarm skin softer and smoother, as well as looking beautifully cared for. Does NIVEA Black & White Invisible Silky Smooth Deodorant protect against malodor as efficiently, without using alcohol? Alcohol is usually used in deodorants to kill malodor causing bacteria. 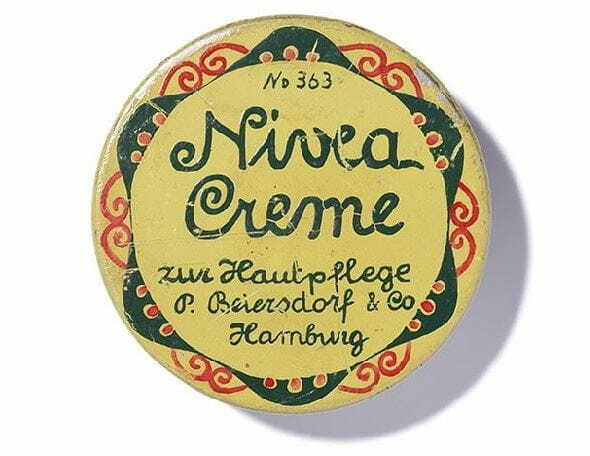 NIVEA Black & White Invisible Silky Smooth Deodorant does not contain alcohol to provide the best post-shaving care. To offer odor protection without alcohol, NIVEA Black & White Invisible Silky Smooth Deodorant contains potent anti-bacterial activates which ensure 48h efficacy against malodor. Does NIVEA Black & White Invisible Silky Smooth Deodorant contain aluminum salts? Are they safe? All deodorants which provide effective protection against underarm wetness contain aluminum salts (e.g. Aluminum Chlorohydrate ACH). Aluminum salts also help reduce the number of bacteria that cause the smell associated with sweat. There is currently no other active ingredient that is so reliably effective against the production of sweat and well tolerated by the skin at the same time. Like all other ingredients used in cosmetics, aluminum salts are strictly regulated and subject to stringent safety controls and scientific testing. So consumers can feel confident they are safe for their body. Is NIVEA Black & White Invisible Silky Smooth Deodorant as effective against white marks and yellow stains as other NIVEA Black & White Invisible Deodorants? Yes, NIVEA Black & White Invisible Silky Smooth Deodorant provides the same protection against white marks and yellow stains as other NIVEA Black & White Invisible Deodorants. This has been tested in partnership with the well-known Hohenstein Institute. This accredited test laboratory and research institute is involved in the testing and certification of textiles, as well as applied research in the field of textiles. What causes the white marks often found on clothes? What causes yellowing stains in the underarm area of white clothing? The white residues in the underarm left by deodorants are mainly caused by the anti-perspirant active ingredients. They are present as a powder and therefore become easily visible on skin and dark clothes. Yellow stains gradually build up from wash to wash. Various factors contribute to the formation of these stains (e g anti-perspirant actives. skin sebum) and interact with water and detergent. This chemical reaction produces yellow-colored deposits that remain stuck in. How does NIVEA Black & White Invisible Silky Smooth Deodorant work against white and yellow marks? Against white residues, NIVEA Black & White invisible Silky Smooth Deodorant uses an anti-white-marks technology: the anti-perspirant active ingredients are formulated in a suspension and coated with masking oils that make the residues invisible. To counteract yellow staining, NIVEA Black & White Invisible Silky Smooth Deodorant contains a patented anti-staining active. This ingredient protects the textile fibers before the stain components can penetrate them. So the stains remain on the surface and can be washed out more easily. 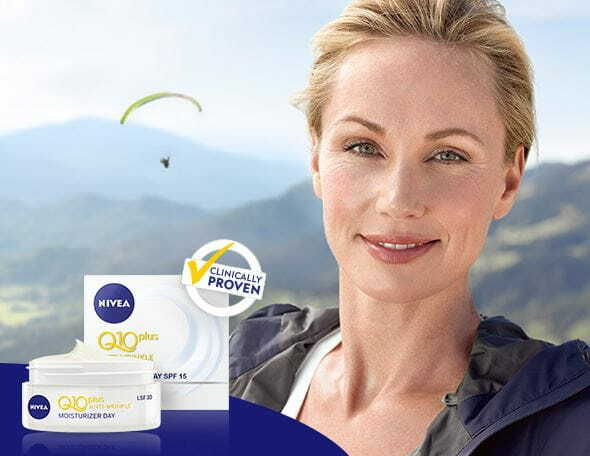 How can NIVEA prove that NIVEA Black & White Invisible Silky Smooth Deodorant really protects against sweat and odor for 48h? NIVEA Black & White Invisible Silky Smooth Deodorant has a very refined and distinctive scent, which was inspired by high end fine fragrances. It combines a flowery and fruity profile, with musky and green notes. The top notes include champaca flower, ivy and mandarin leaves, while the heart of the fragrance is made up of Damascus rose. golden orchid and sheer watery notes. Base notes are sandal and amaranth wood, white musk and plum. What is special about the fragrance in NIVEA Black & White Invisible Silky Smooth Deodorant? NIVEA Black & White Invisible Silky Smooth Deodorant has a very refined and distinctive scent, which was inspired by high end fine fragrances. It combines a flowery and fruity profile, with musky and green notes. The top notes include champaca flower, ivy and mandarin leaves, while the heart of the fragrance is made up of Damascus rose, golden orchid and sheer watery notes. Base notes are sandal and amaranth wood, white musk and plum. Dr. Jens Schulz is lab manager at the Department of global product development for deodorants at Beiersdorf. He holds a degree in Chemistry and a PHD in Physical chemistry and has 18 years of R&D experience.